Easter is just around the corner and we haven’t decided what kind of treats to make yet. There are just so many deliciously adorable options! 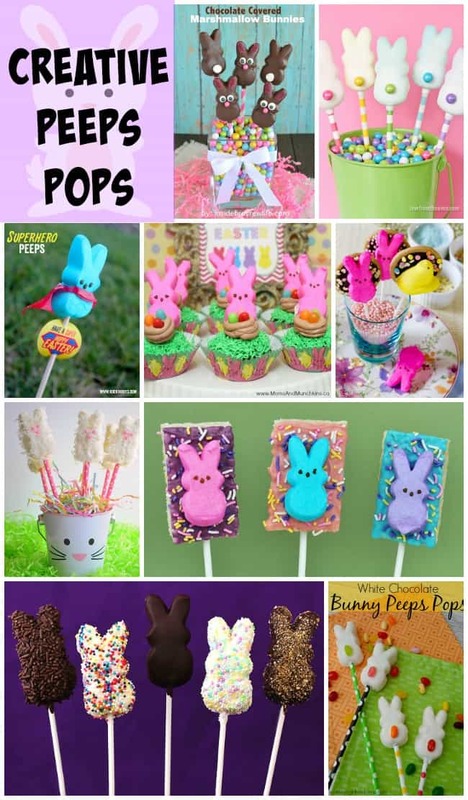 Easter wouldn’t be complete without some Peeps so we’ve gathered a collection of Peeps Pops ideas. I hope you’ve already eaten lunch because you’re going to be craving sugar after seeing all these tasty creations! 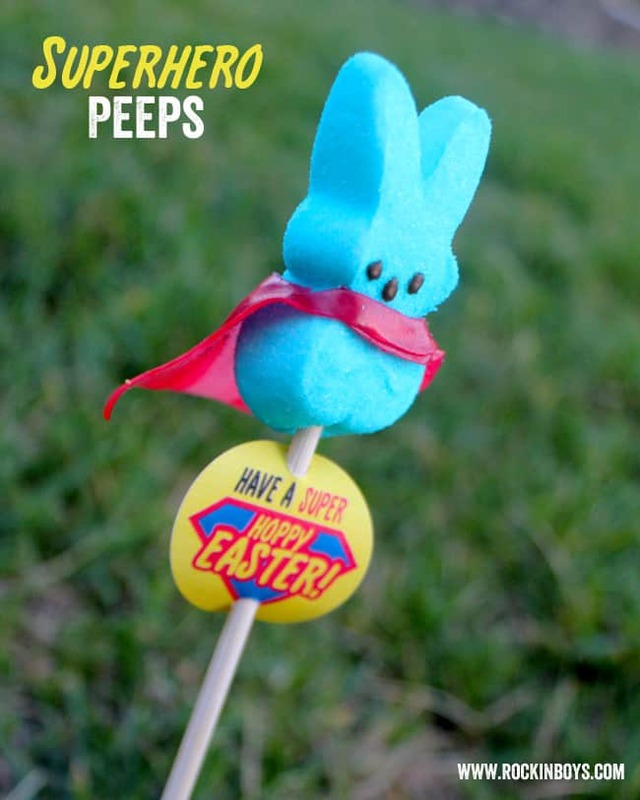 These Superhero Peeps by The Rockin’ Boys Club are incredibly cute plus they come with a free printable! My son would love these! 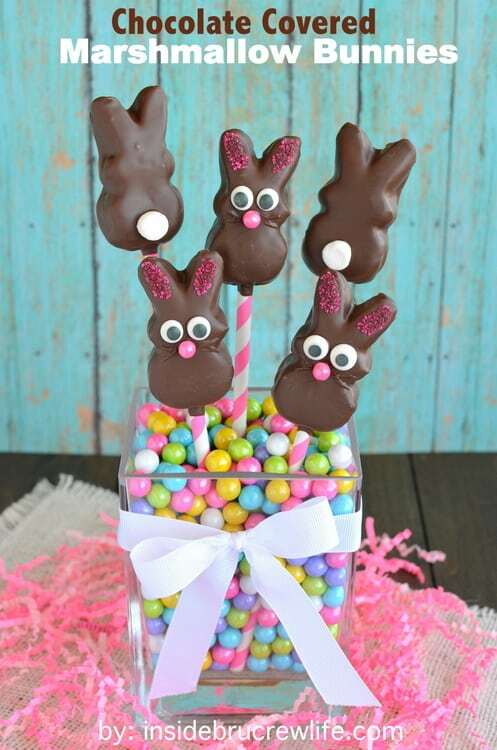 These Chocolate Covered Marshmallow Bunny Pops by Inside BruCrew Life are absolutely adorable! Almost too cute to eat…but I’d still eat two! 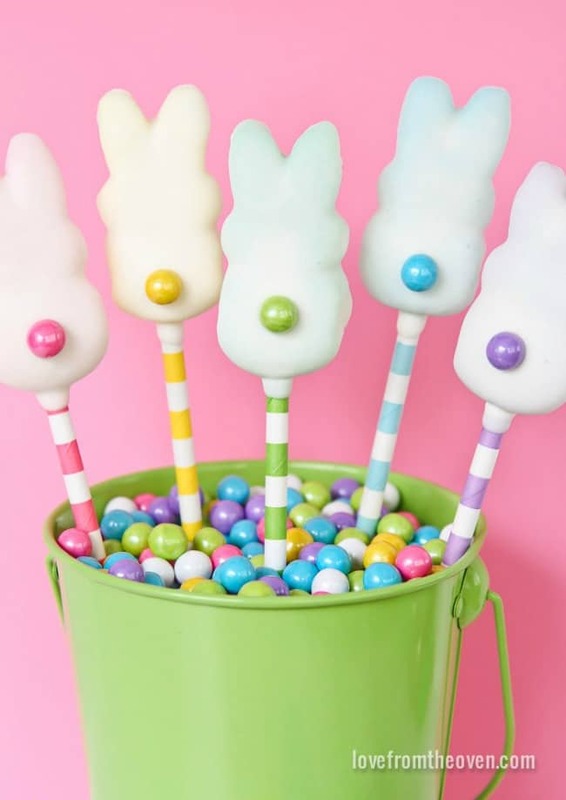 Gimmie Some Oven has so many delicious ideas for turning Easter Peeps into creative Easter Peeps Pops! I think I’d try the s’mores one first. 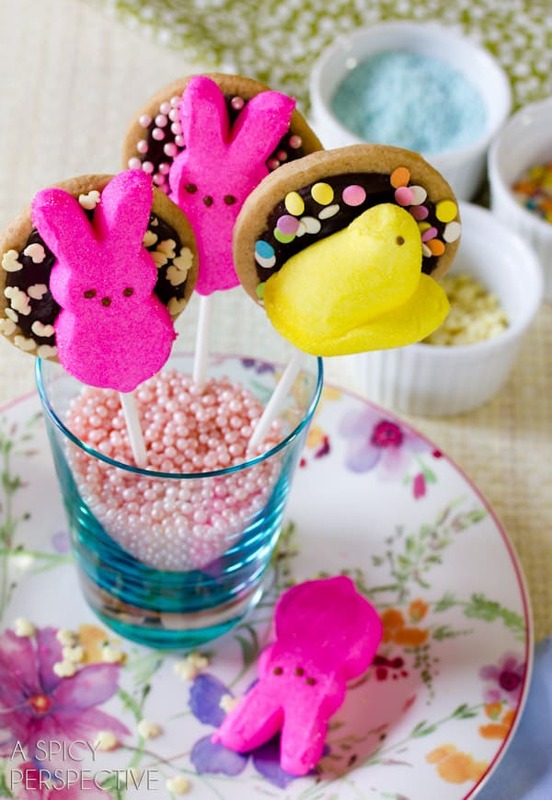 These Easter Peeps Pops by Love From The Oven are super cute! Perfect to display on your Easter dessert table. 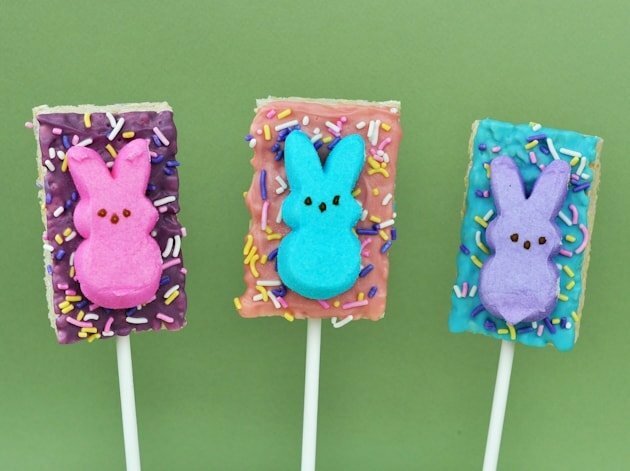 Turn a Rice Krispies treat from ordinary to extraordinary with these Peeps Bunny Rice Krispie Treats by Food, Family & Finds. 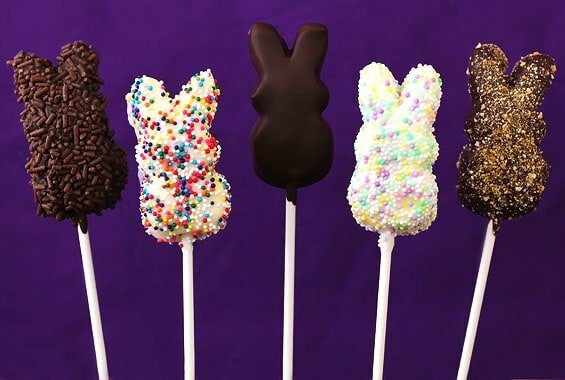 Easter S’mores on a stick?! I’ll take two! These treats by A Spicy Perspective mixes a delicious camping tradition with a fun Easter treat. 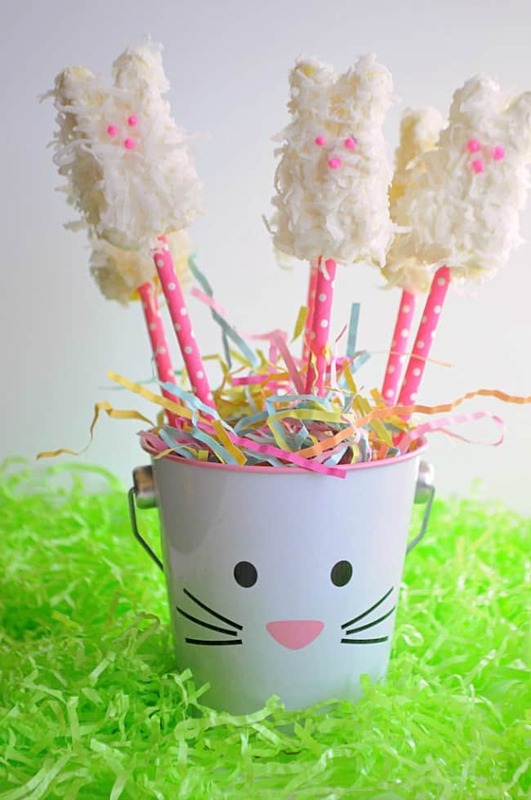 I love how the coconut on these Coconut Marshmallow Bunnies by House Of Yumm makes them look like they have fur! Fun to make & fun to eat! 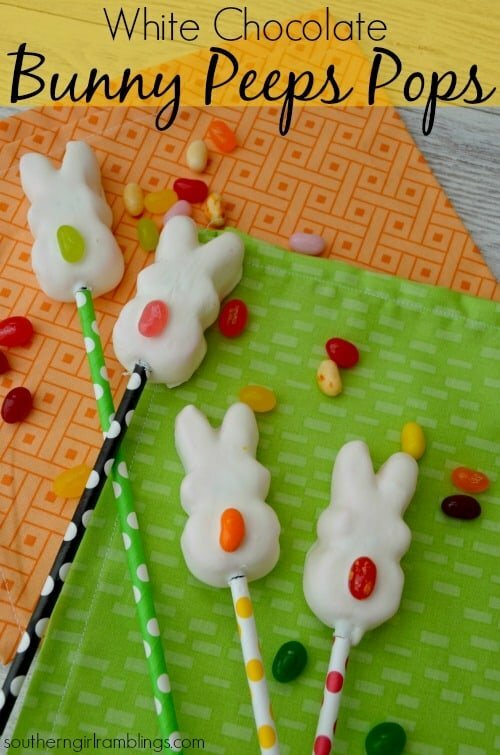 Your kids would love to help make these White Chocolate Easter Bunny Peeps Pops by Southern Girl Ramblings. Better have extra jelly beans on hand for the ones that “disappear” during the decorating process! For more delicious Easter ideas, visit our special Easter page. 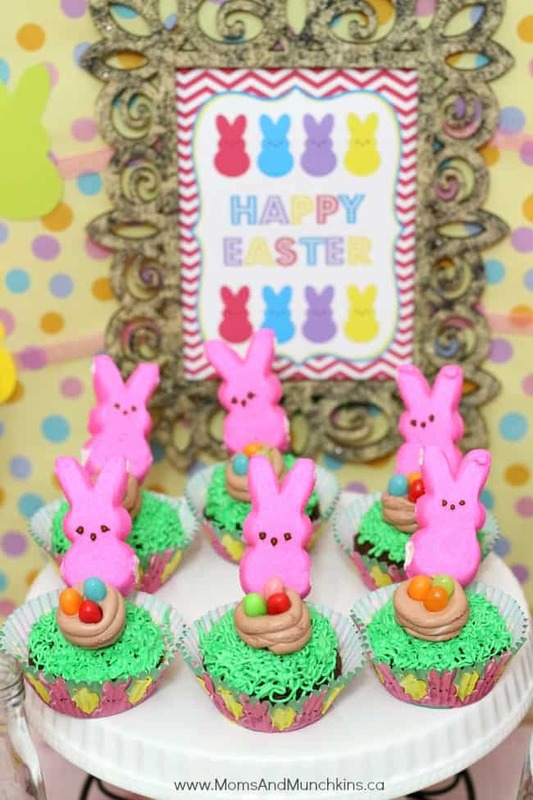 In addition to desserts we have Easter party ideas, free printable games and more! 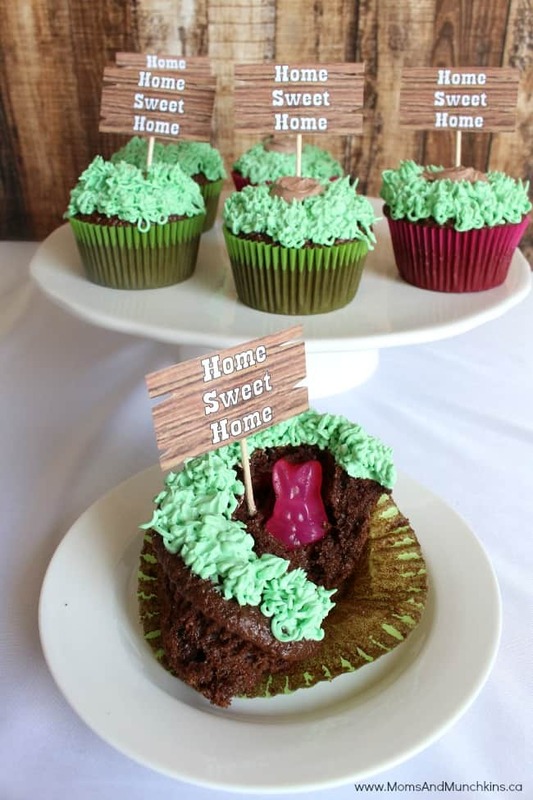 Here are my favorite Peeps Cupcakes plus adorable Hidden Bunny Cupcakes with a free printable! Wishing you & your family a very Hoppy Easter!